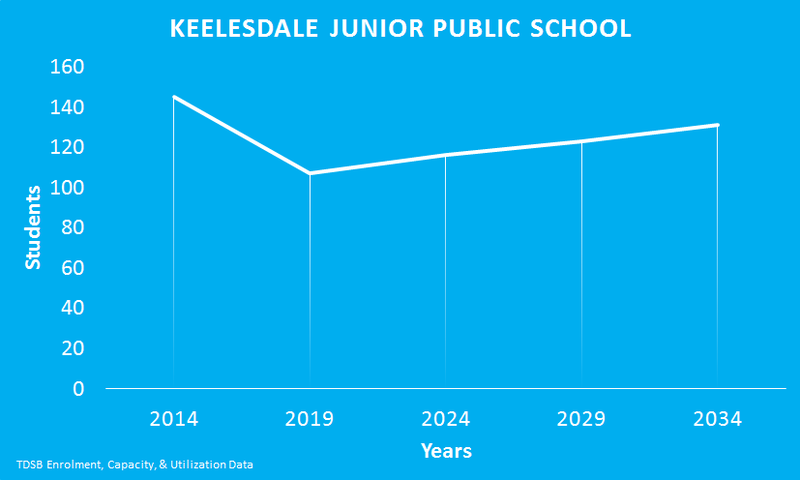 After a period of contraction, The TDSB projects that Keelesdale Junior Public School’s enrolment will begin to grow again in five years. Keelesdale Junior Public School has an Intensive Support Program (ISP) and a Home School Program (HSP). The school supports students with a wide range of exceptionalities, from Autism to students with varying Learning Disability designations. Keelsedale is part of the Model Schools for Inner Cities Program. The school’s Community Support worker also offers a variety workshops.